I remember growing up watching Berenstain Bears on TV. I was so excited to see this book to share with the young ones in my family. 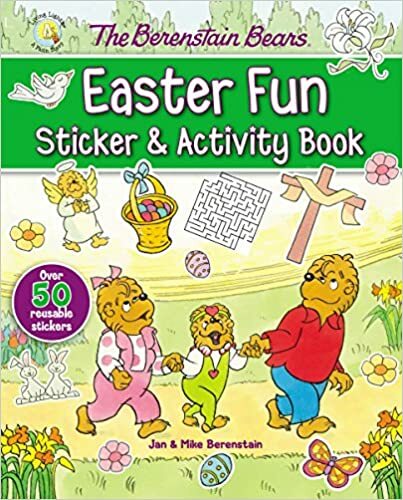 This wonderful Easter theme children's ( I may or may not have helped with a few activities) book is packed with fun activities such as puzzles, crosswords, coloring, sticker activity pages, and over 50 reusable stickers. The kids once they saw the books, they didn't want to wait until Easter to play with it. They had fun time and I was glad they had so much fun (and the best part they were entertained for a few hours). A definite fun treat for the kids during Easter!